For over 48 years, W.F. Harris Lighting has been designing and developing "Made in the USA" high-performance LED (Light Emitting Diode), HID (High Intensity Discharge), Fluorescent and other lighting solutions. W. F. Harris Lighting, Inc., located near Charlotte, North Carolina, is a leading manufacturer of rustproof, vandal resistant, impact resistant luminaires and offers the largest selection of emergency luminaires in the industry. The Company began in 1970 when its founder and President William F. Harris developed and introduced a revolutionary lighting solution for the salty coastal environment. Over four decades later, innovative solutions are still the hallmark of the company in its commitment to providing premier products and services. W. F. Harris gained extensive experience as a laboratory technician testing man-made fibers. This provided him with knowledge about the characteristics and qualities of plastics, including flame resistance, durability and non-corrosiveness. Realizing the need for (yet seeing the total industry lack of) rustproof lighting products, Harris began developing a non-rusting lighting fixture. The coastal regions of the Carolinas, which are subject to corrosive and damaging salt air, humidity and severe climatic conditions such as hurricanes and tornadoes, provided an ideal proving ground for product development. Working closely with specialists at General Electric Plastics, tool and die makers, plastic injection molders and end users, W. F. Harris introduced the first rustproof, non-corrosive floodlight in 1970. Close technical liaison established with Underwriters Laboratories resulted in the development of UL Safety Standards for plastic lighting fixtures. A year later, he introduced the first vandal-resistant rustproof fixture featuring unbreakable Lexan® polycarbonate. 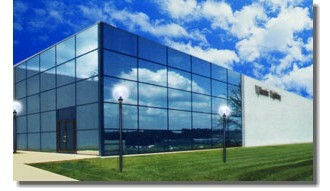 In 1983, the firm moved to its new factory and office complex in Monroe, North Carolina. This modern facility features a testing laboratory designed to meet rigid Underwriters Laboratories specifications. The industry realized another breakthrough in 1992 with the Company’s development and introduction of an unprecedented landscape lighting product, Scapeform®, that withstands damage from the elements as well as from routine landscape maintenance tools, chemicals and sprinkler systems. The product was selected as one of the Top Ten Products of the Year by Electrical Contractor, was a Modern Plastics design winner, appeared in Grounds Maintenance featuring its high profitability and maintenance ease and was a landscape lighting suggestion by Better Homes and Gardens. 1995 heralded the introduction of the Nite Owl® with its million candlepower spotlight that has been a boon to law enforcement officers and utility crews as well as to recreation, water sports and boating enthusiasts. And tucked in among the new products introduced through the years are numerous innovations requested by our customers which quickly became best sellers, such as the innovative LED product design that launched the company's entry into LED lighting. Our customers count on us to quickly meet their custom product requirements, either through minor adjustments to an existing product or employing our in-house LED Application Engineering Department.